Fundamental, technical, quantitative... There are a number of methods used by forex traders to predict the movements of currency pairs. Some traders focus on news, interest rates and economic variables while others prefer to use charting tools and indicators to guide their trading decisions. However, no matter your trading method, you'll need to know how to read a forex chart - there's no escaping it. Luckily, we created this detailed guide to help you get started. You must crawl before you can walk. And forex charting is no different – you first need to have a good understanding of the basics, before you can progress to advanced stuff. Join 30,000+ traders who stay ahead of the markets with daily commentary and forex charting by trusted analyst Joel Kruger - free 30 day trial. Forex is short for ‘foreign exchange’ – the game of buying and selling various currencies in the foreign exchange market. In the global foreign exchange market, retailers, investors, speculators and institutions determine the relative value for the conversion of one currency to another via the buying a selling of currency pairs. It’s a dynamic, liquid marketplace with daily turnover predicted to be in excess of 5.3 trillion dollars. How to Read a Currency Quote? Forex is the business of conversion, and since you are always comparing the value of one currency to another, forex is always quoted in pairs. For example, the quote of EUR/USD shows how many US dollars you will get for one Euro. The first currency is called the base; the second is called the quote. When you buy a currency pair, you buy the base currency, and sell the quote currency. Simple. The most popular piece of terminology used by forex traders has got to be the humble ‘pip’. A pip is simply a unit you count profit or loss in. Typically, forex pairs are quoted to four decimal places (0.0001). The ‘1’, four spaces after the 0, is what is referred to as a pip. The number '7' in red shows the decimal unit of a pip. If a trader buys GBP/USD for 1.6000 and then later on sells it for 1.6020, that's a difference of 0.0020 or 20 pips. The exception to this is Yen pairs ( i.e. USD/JPY), which are only quoted to two decimal places. In this case the second spot after the 0 is referred to as a pip. Now that you're up to speed, lets move on to what you really came for, how to read a forex chart. A forex chart is simply a graphical depiction of the exchange rate between to currencies. How do Forex Chart Timeframes work? The amount of time shown on the chart depends on the particular timeframe you select. 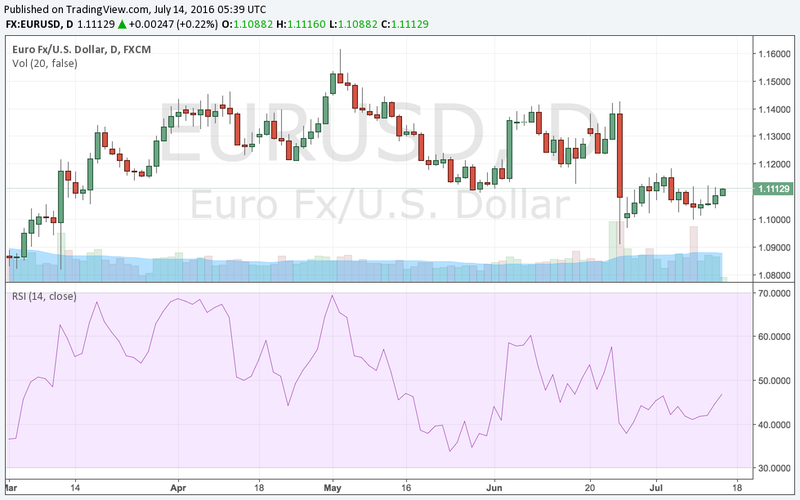 By default, our forex charts are set to daily (1D) timeframes. What this means is that each point on the graph, whether it be a line, candle or bar represents the trading data for one day. With most free forex charting tools you can choose to display timeframes from as low as 1 minute all the way up to one month. If get more advanced charting software, you can view lower timeframes. For forex traders, candlestick charts seem to be the crowd favourite, and it’s easy to see why. Compared to a line chart, which shows the price close to close, candlestick charts show four times the amount of information, displaying the close, open, low and high price of a given period. Diagram showing the Open, Close, Low and High prices of a candlestick. By having this extra information, you can study ‘how’ price has moved over a period of time compared to just seeing where the price closed. 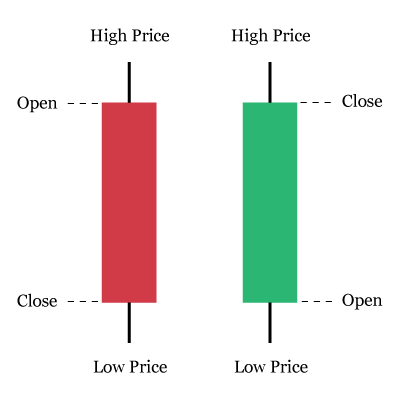 The red and green portions of a candle are termed the ‘body’. The body of a candlestick represents the difference between the opening and closing price of the currency for a given time period. If the opening price of the candle is lower than the closing price, the candle body color is green. If the opposite occurs, and the opening price is higher than the closing price then the candle body color is red. The black lines above and below the candles are called ‘wicks’ or ‘shadows’. Wicks represent the highest and lowest prices reached during the given time period. Currency charts help traders evaluate market behaviour, and help them determine where the currency will be in the future. To help make sense of the currency movements depicted on a chart, traders have developed a number of different visual guides to assist them – indicators. There are hundreds of different types of trading indicators developed to cover every aspect of forex trading, from trend following to mean reversion. Below we cover some of the most popular indicators used by currency traders. Bollinger Bands are volatility bands placed x standard deviations around a moving average. Developed by John Bollinger, the bands widen in periods of increasing volatility and narrow when volatility decreases. 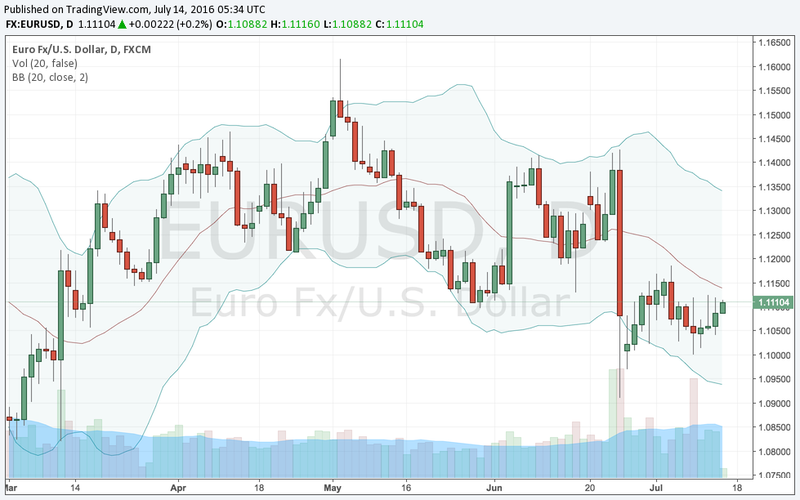 Forex chart with the Bollinger Band indicator applied. From a traditional perspective, the bands are used to highlight potential oversold and overbought areas. For example, if a price move breaches the upper band, it might be expected that the price would then revert back to its mean, or in this case the middle moving average. Middle Moving Average = 20 period simple moving average (20 SMA). Upper Band = 20 SMA plus the 20 period standard deviation multiplied by 2. Lower Band = 20 SMA minus the 20 period standard deviation multiplied by 2. Developed by J. Welles Wilder the Relative Strength Index (RSI) is a momentum oscillator which measures the direction and velocity of price movements. Currency chart showing RSI oscillator. The indicator compares upward price movements in the closing price to downward movements in the closing price over certain time periods. The default period, suggested by Wilder, is 14 periods. 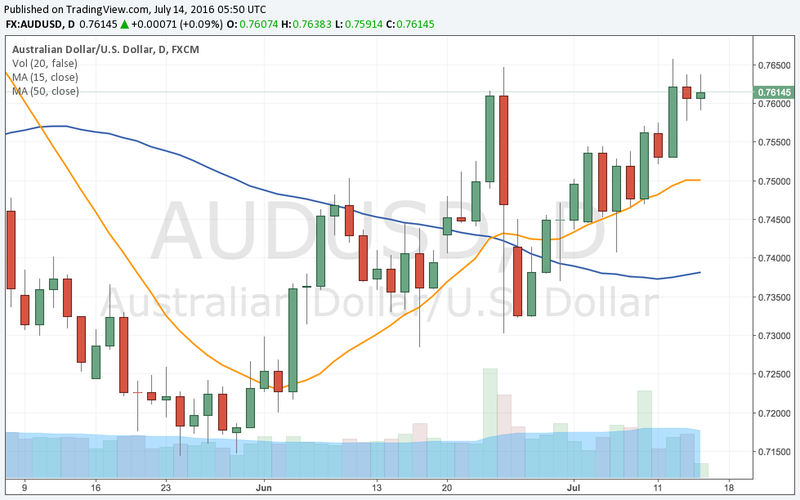 SMA or simple moving average is the most common indicator plotted on forex charts. Forex Chart showing simple moving averages. Moving averages are used as they help smooth price fluctuations over a certain period, giving the trader a clearer picture of the direction of the price movement. SMA = Sum of the closing prices / number of periods.